This month, Snehta Residency will be hosting a group exhibition by four young artists and a talk. The exhibition will host works by resident artists Paige Davis, Elsa Henderson and Jingbo Zou, plus work from Thanos Makris. The talk will be a dialogue between artist Kostis Velonis and curator Faidra Vasileiadou. As a launching pad for the exhibition “April is the cruellest month” constitutes the first verses one of the most ubiquitous and timeless poems of 20th century, that of The Waste Land from T. S. Eliot. He creates his own arid land, where he runs up against existential quests, expressing the psychological and emotional sequence of his ideas and images with elegiacal descriptions and clarity in detail. T. S. Eliot’s Waste Land, one could say, that consists an assembly of the fragments he collects around him, forming a study of the human soul. A space - a parallel spectrum - in which are dealing issues against the deterioration and decay of society and individuals. In their two-month stay in Athens, artists Paige Davis, Elsa Henderson and Jingbo Zou are trying - each in their own way - to look through the influence of the subconscious for the visual experience of modern human sensitivity. 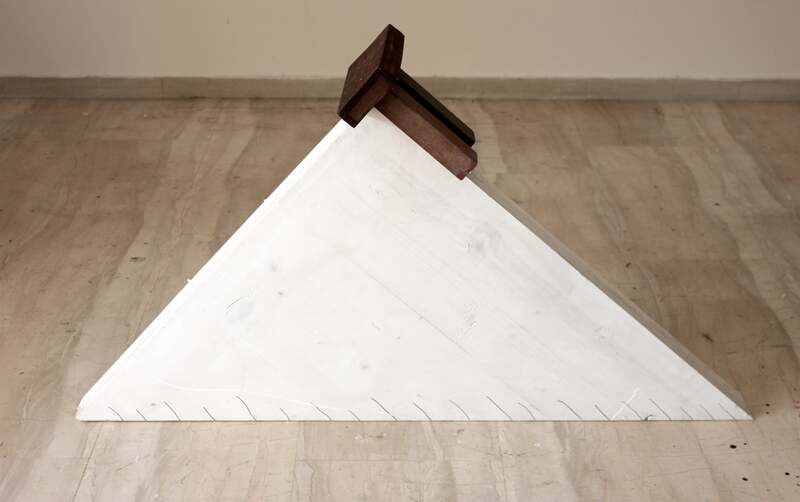 Together with the residence artists, Thanos Makris will present his work, which deals with the works of the show. Jingbo Zou, graduated from University of the Arts London, London College of Communication. His work presents a fusion of traditional Chinese philosophy and Western contemporary art through photography and moving image, try to explore the balance between ancient and modern, tradition and contemporary, complexity and pureness. Elsa Henderson graduated from the Occidental College, Los Angeles,CA and the San Francisco Art Institute. She currently lives and works in Berlin, Germany. Thanos Makris is a Visual Artist, Art Mediator, and Art Conservator. Currently, he is working on his dissertation for the Master in Visual Arts at the Athens School of Fine Arts. His work is focused on the transformation and re-presentation of “found objects” such as motifs, porcelains, and stones, the interpretation of which results in a new artefact/palimpsest. Moreover, photography, through the use of mobile camera, works as a medium and as an extension of his hand. Faidra Vasileiadou will develop a dialogue with Kostis Velonis about the practices of a "cosmological archeology" in contemporary artistic production. The body of these artists understands the "origin" of the technique not as something that constitutes a simplification of the form, which at the moment becomes more interesting with the usage of contemporary know-how. The archaic origin of the technique is not treated in terms of the initiation of some questions that have historically been answered, but rather than the "hidden discovery" that is now revealed and constitutes a philosophical fiction about the genesis of the world. Kostis Velonis lives and works in Athens. He holds an MRes in Humanities and Cultural Studies from London Consortium (Birkbeck College, ICA, AA, Tate). He studied Arts Plastiques/ Esthétiques at Université Paris 8 (D.E.A). He earned his PhD from the Department of Architecture, N.T.U.A University of Athens. Velonis has participated in exhibitions and residencies Internationally. Selected solo and group exhibitions include among others: 2019«Landlord Colors: On Art, Economy, and Materiality” Cranbrook Art Museum, Detroit, «Life Without Tragedy», “Democracy is Coming” Onassis Festival / Public Theater, Astor Place, NYC“Πενταδάκτυλος” Leventis Municipal Gallery, Nicosia 2018 The Value of Freedom, Belvedere 21, Vienna, Austria “Paroikia”, Company Gallery, NYC, “Refusing to Be Stil”, 21, 39, 5th Edition, Jeddah, A Puppet Sun, NEON -City Project, (Solo) Athens, “Precision German Craftsmanship” Akademie Schloss Solitude, (Solo) Stuttgart (2017), documenta 14, Fridericianum, Kassel , “Urgent Conversations” , Museum of Contemporary Art Antwerp (M HKA), Antwerp - National museum of Contemporary Art (ΕΜΣΤ), Athens ,“Memory of Revolution”, State Museum of Contemporary Art, Thessaloniki, (2016) “Part Company” Casa Maauad, (Solo) Mexico City “This probably will not work", Lothringer 13-Städtische Kunsthalle München, Μunich; “Super superstudio”, PAC, Milan; “Adventures of the Black Square: Abstract Art and Society 1915 –2015”, Whitechapel Gallery, London; “Au nom de le Corbusier”, Maison Spiteris, Athens, “Mount the Air” (Solo) Kalfayan Galleries, Athens ,“ The Theater of the World”, Museo Tamayo, Mexico City; “This is Not My Beautiful House”, Kunsthalle Athena, “No Country for Young Men”, BOZAR, Brussels; "Direct Democracy" , MUMA, Melbourne. Faidra Vasileiadou is a museologist and an independent art curator, based in Athens. She holds a master degree in museology and cultural management at Aristotle University of Thessaloniki and a bachelor degree in conservation of antiquites and works of art at Technological Institute of Athens. While finishing her MA internship in CACT, she participated in NEON’s first exhibition in Thessaloniki, “Flying over the Abyss”, as an assistant curator. Continuing her collaboration with NEON untill today, as an art mediator in several projects, she managed to elaborate communicational, organisational and diplomacy skills, working well as part of a team with a wide range of people. Concurrenlty with her association with NEON, in 2016 she received a curatorial fellowship from Schwarz Foundation in Art Space Pythagorion in Samos. As a result to this residency, she had the opportunity to work hand-in-hand with Katerina Gregos (curator) and Katerina Zacharopoulou (director of educational program), gaining experience in terms of curatorial and educational aspects in contemporary art. After the curatorial residency, she moved to Athens, working as an idependent curator. Due to her proficient organisation and detail orientation, she supports artists by assisting in their reshearch, organising an exhibition or cultural event, configuring their public image (management of social media) and develop their artistic creation. 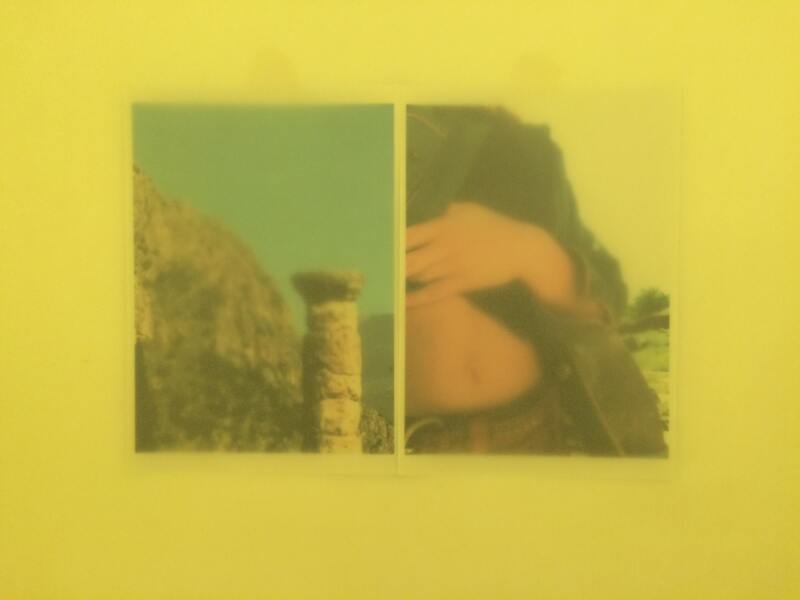 Currently, she is working in MOMus – Alex Mylona. She is also mediating in the newest exhibition of Katerina Gregos in Athens Conservatory, sponsored by Schwarz Foundation. She is preparing a project in Athens School of Fine Arts with Katerina Zacharopoulou and also assisting in curating an exhibition in Vienna with Kostis Velonis which will take place in late April. Kostis Velonis, Every time the force attaching me to the earth is greater than the one lifting me into the air, 2019. Wood, ceramic bricks, acrylic, pencil, 120 x 69 x 24 cm.